Secure Components protects high reliability supply chains by increasing readiness and reliability, while decreasing equipment downtime. When seeking a source of supply, our customers rely on us to meet and exceed their quality requirements, including traceability and reliability. With our AS9120 certified Quality Management System, we are a highly credentialed distributor of electronics, hardware, raw materials, mechanical and structural components serving Aerospace, Defense, Industrial, Medical, and Commercial Industries. Secure Components has provided top-notch support to the DoD and DLA, enabling mission critical agencies to focus on counterfeit part mitigation. When I served the President as part of the Presidential Airlift Group, we were diligent about every detail, part and process that pertained to maintenance across the board; no detail was overlooked. Secure Components allows for continuity of operations and provides confidence that our military is being supplied with authentic components. As a buyer of Lockheed Martin I have worked with Secure Components for purchasing nameplates, decals, labels plates and placards. Lockheed Martin and Secure Components have built a steadfast relationship built on competitive edge based on price, quality, technical capability and financial capability for all programs. Secure Components is a supplier for our company. They have great customer service with deliveries made on time. We use Secure Components regularly for our COTS items. Secure Components provided the Homeland Security Foundation of America (HSFA)with subject matter expertise on supply chain and counterfeit part mitigation. Every day the world is changing and new threats are being uncovered. HSFA identified a vulnerability within the supply chain that could be devastating to those that protect our homeland. We rolled up our sleeves and examined the issue in tandem with Secure Components to identify best practices and develop a recommended approach. Their expertise, knowledge and guidance illustrated to me that they are the industry leader. Secure Components is a proud sponsor of Beyond the Uniform. 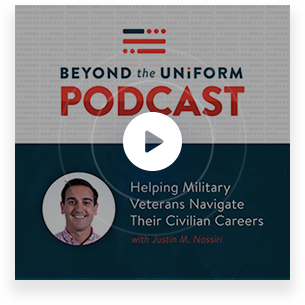 For more information, visit Beyond the Uniform. Click the album to hear our sponsored episode.